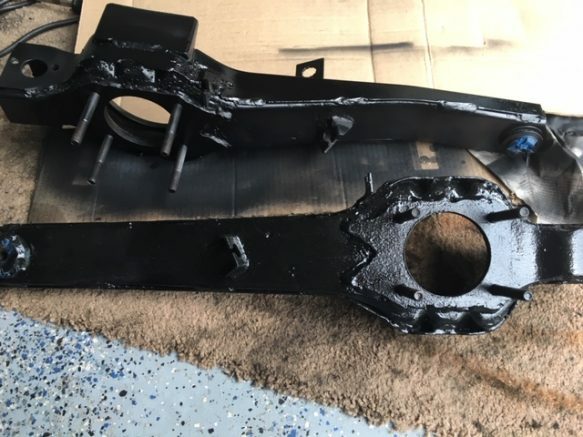 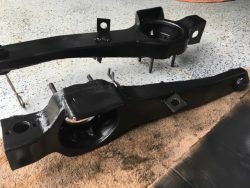 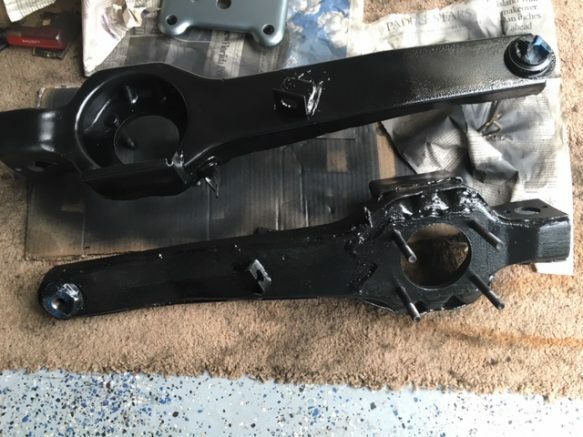 C3 Trailing Arms that have been sand blasted and painted with black epoxy. 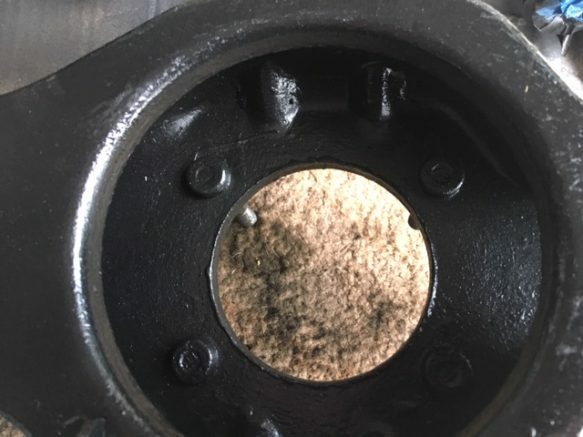 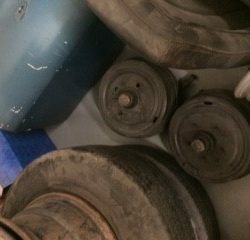 They don’t have new bushings installed but they look like they still have plenty of miles left on them. 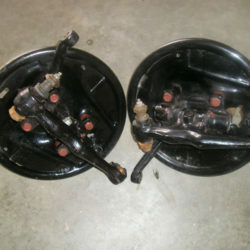 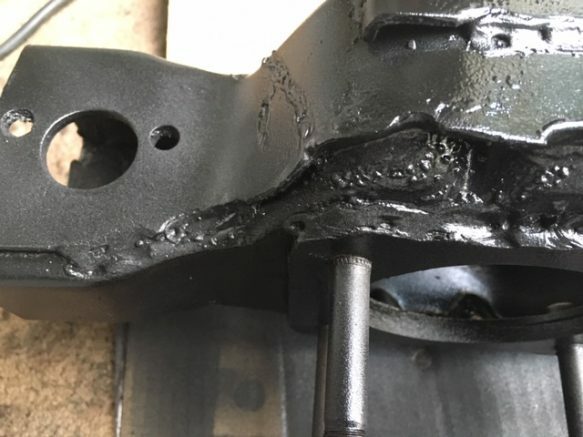 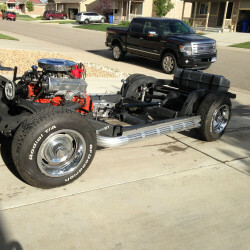 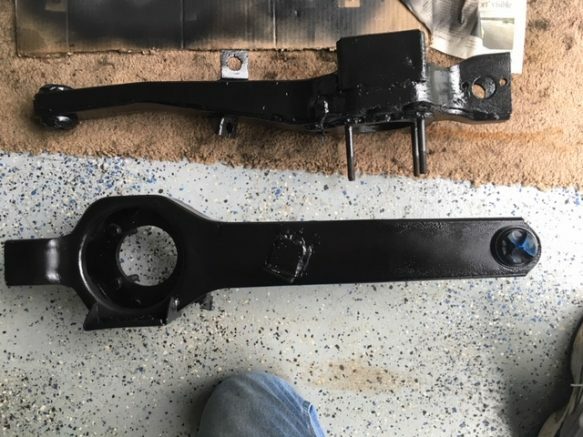 They worked fine on my 1969 coupe but I changed over to the newer offset arms.